a vegetable that fit the description of broccoli and was eaten in Italy long before it was used elsewhere. Broccoli is a plant of the Cabbage family, Brassicaceae and is high in soluble fiber. Broccoli also contains the compound glucoraphanin, leading to an anticancer compound known as sulforaphane. 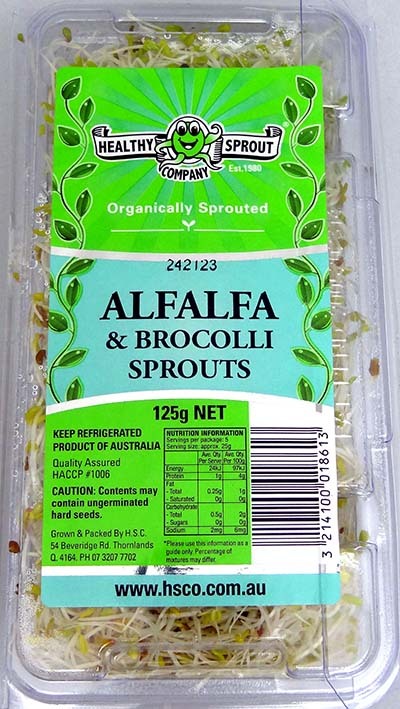 Crunchy with a mild flavour Broccoli sprouts are very nutritional being high in vitamins A, B, C, E and K; also Calcium, Iron, Magnesium, Phosphorus, Potassium, Zinc, Carotene and Chlorophy, It is suggested Antioxidants are so high in Broccoli, that these sprouts can contain something like 50 times the sulfurophane found in mature broccoli, by weight. 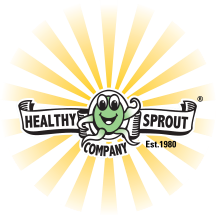 A wonderful alternative to the larger full grown variety they can be used similarly to manyother sprouts. 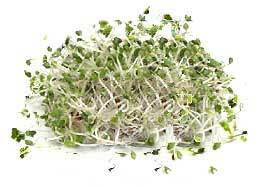 Broccoli sprouts can be eaten raw, steamed, stir-fried or added to soups. 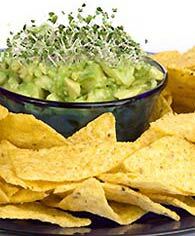 Cut avocados in half, remove pit and take out the pulp and mash with a fork. Mix in the onion, garlic, pepper and 1/2 of the broccoli sprouts. Place in a platter with and serve with corn chips. Put the remaining broccoli sprouts on top.